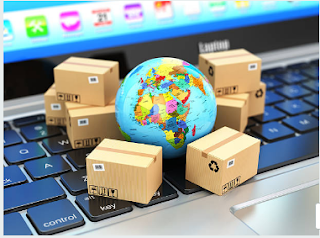 Have you been thinking of how you can take advantage of your blog’s popularity and incorporate an online e-commerce shopping store to it? Then you have met with your solution. In building an online store there are several ecommerce blogger templates that are available for you to use. However on this post I am going to introduce to you how you can convert or make use of that normal blogger template you already have installed on your blog. Though, this is a bit tricky, but it is not so difficult if you follow the procedures I am about to show you. With the ECWID plugin you are just a few clicks away from converting your blog to an online store. Now let us get down to business proper by taking you through the below steps to creating an online store in blogger. Check live demo here. Like I said before you need the ECWID plugin in order to build your online store on blogger, so first, you need to sign up for an ECWID account at ECWID.com. For quick registration, you can use your Facebook, PayPal or Google account if you already have. 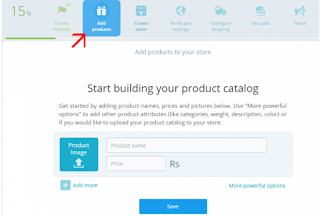 After creating an ECWID account, you will access to different products on your dashboard where you can add products. To add products all you need to do is simply Click on “add product” which is available in the top menu. When you are done adding products, simply click on “create store” and Select the “Yes, I have a website” button as shown in below screenshot and proceed to the next step. On the next screen ECWID will be asking you what platform you wish to create your online store with. You will notice blogger isn’t listed, but worry not. Since blogger isn’t listed in available these three platforms just click on ” other platform ” and proceed to next step. In this step copy the generated code and then login to your blogger account and add a new page. Paste the copied code in the page HTML mode and publish the page. Now go back to ECWID and click on proceed to next step. Now you are almost done, all you need do o n this stage is insert your blog URL in the box given and then click on “proceed to next step”. Use the ” verify goal setting” to review your country, currency, and weight settings. To change the geo setting, simply click on the edit button. There are two options available for shipping. If you are selling digital goods and services like software, themes, e-books etc. 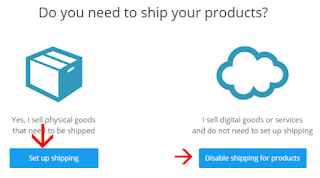 then you don’t need to set shipping and click on “disable shipping for products“. If you are selling physical goods then you need to set your shopping method and rates. This is the final step, all you need to do now is set your store payment method. ECWID supports all popular payment methods. So, select the most suitable and convinient method to collect payment from customers. To set payment method click on “get paid” if you want to use PayPal as a payment method then enter your verify email address. Weldone! You have successfully created an online store for free. You can upgrade your account to unlock more features and build more professional online store. I hope this article will help you to create an eCommerce online store in blogger. Let me know if you encountered any challenge and I will be glad to throw more light.